Allocate is an integrated time tracking and project management solution specifically designed for lawyers, accountants, PR professionals, and other service-based companies. It enables users to properly allocate resources to ensure business profitability. We compiled Allocate user reviews from around the web and determined that it has generally positive ratings. We also shared its available pricing options. Users who gave Allocate a positive review said that the app efficiently runs in the background without interrupting their day-to-day operations. They also commended it for being helpful in tracking their employees’ time and ridding them of the need to manually track their progress on various projects. Users who gave Allocate a negative review said that it is not that easy to pull data from the system. They also mentioned experiencing a learning curve when using the product for the first time. A user who left a positive review of Allocate on Capterra said that the app has allowed them to spend less time filling up timesheets and focus more on working on their projects. He added that the tool gives them a better estimate of how long a project will take from start to finish. A user who left a negative review of Allocate on Capterra said that he finds the system difficult and confusing to navigate. He added that he sometimes gets lost when looking for the correct data to download. 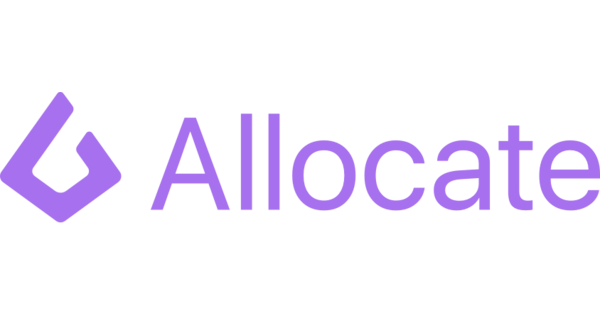 Allocate offers three subscription plans: Time ($12/user/month), Project ($16/user/month), and Resourcing ($20/user/month). The main difference between the plans is the access to premium features such as company dashboard, team analytics, resource management, project templates, and more. *Annual plans are billed on lump sum per year. Check out the list below of some of Allocate’s features. Best Time Tracking Software 2018 — Harvest vs Mavenlink vs Toggl — We compared the features of the top three time tracking software for freelancers and small businesses. Read on to find out which one works best for your needs. Does Allocate offer a free trial? Yes. Interested users can sign up for a 14-day free trial of Allocate’s Resourcing plan. They can also schedule for a demo to know more about the product. Can I choose a lower plan after the 14-day free trial of Resourcing? Yes. Users are free to switch to any plan after their 14-day free trial. This video provides an overview on what Allocate can do to help businesses accurately track their employees’ time. Not sure if Allocate is the right fit for you? Read our reviews of all top time tracking software or check out one of these three Allocate alternatives.